When you're making your college dorm checklist, don't forget to add a dorm desk lamp. 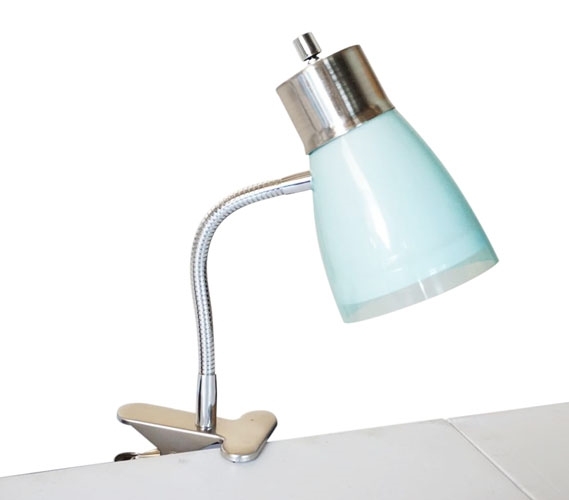 Yes, you need a dorm desk lamp because you will be lucky if your college provides you with a dorm desk light and the overhead dorm lamp will not provide enough light. Your college dorm room won't be completely dark, but you will need more light if you want to study or just in general see your dorm items more clearly. Our Aglow Dorm Clip Lamp in Mint is the perfect addition to your dorm room for a little extra dorm room lighting and it also adds to your dorm room decor with a light mint color! 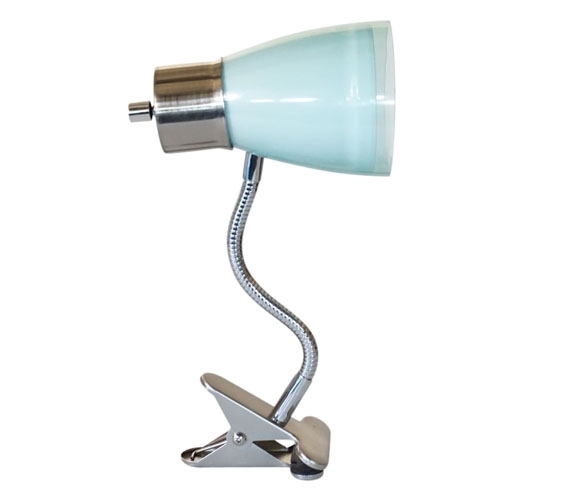 Our Aglow Dorm Clip Lamp in Mint takes up no space on your dorm desk or college nightstand at all. We're not kidding, either! 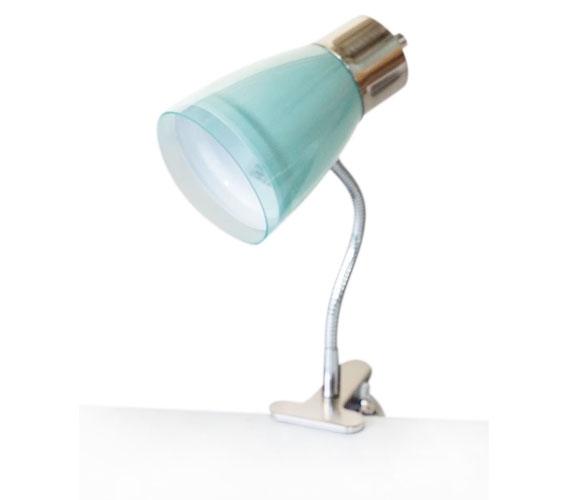 Our Aglow Dorm Clip Lamp in Mint doesn't sit on top of your dorm furniture. Instead, it clips to the edge of your dorm desk for compact dorm lighting that won't take away dorm room storage from your college desk. Plus, this handy dorm essential has a sturdy, flexible neck so you can adjust the light wherever you need to. Don't squint over your college textbooks and try to read them in minimal light- add simple college supplies like our Aglow Dorm Clip Lamp in Mint!